Kevin Earl Wood shared this post via CopBlock.org’s submit page. On September 4, 2013, University of Central Florida (UCF) college student Victoria King was pulled over by UCFPD Officer Timothy Isaacs for a minor traffic offense – a bad tail light. The officer became obsessed and incensed by Ms. King being reluctant to roll down her window “all the way” to receive her bad tail light ticket. The officer then escalated the traffic stop to violence, breaking out the car window, and charging Ms. King with two felonies and a misdemeanor. The two felonies have been abandoned by the state attorney. 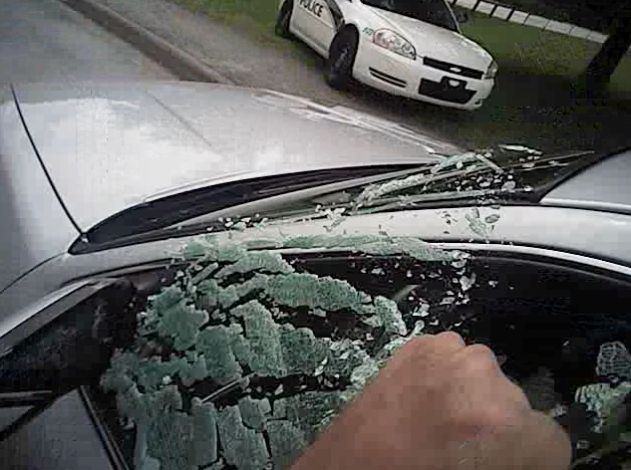 UCFPD is now covering up the officer’s misconduct. The details of the events can be found in the video below and in this article.